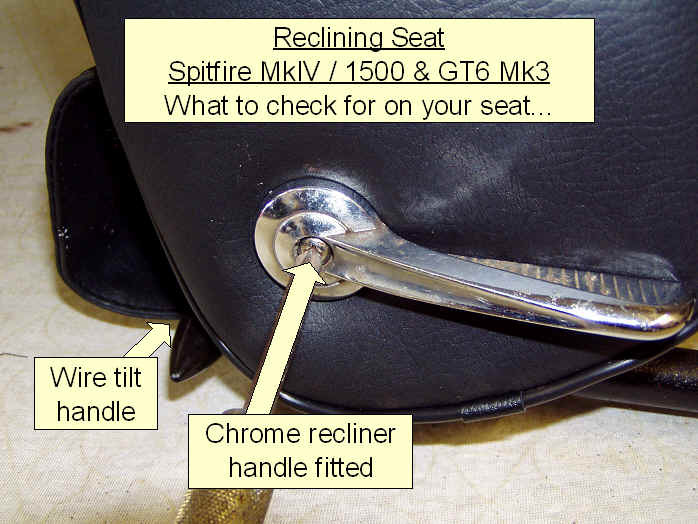 The 1500 Spitfire was an evolution from the MkIV. 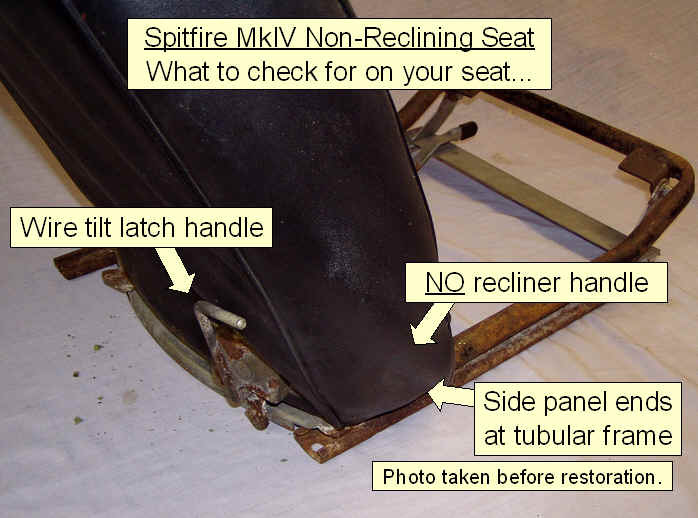 The biggest improvement was in the seat frames. 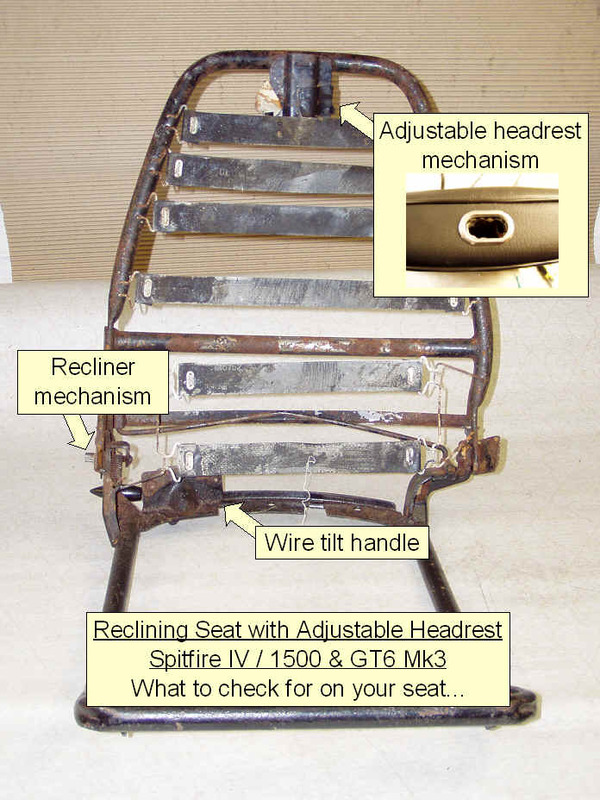 Recliner meachanisms were added and later an adjustable headrest. The GT6 coarse grain vinyl was carried over into the 1500 but then changed back to smooth on later models. Personally, I think the change is barely noticeable and was probably made to reduce production costs. Part-cloth seats were added with a distinctive houndstooth pattern. Production costs were kept down by using the same foams as the vinyl covers.